Mixed messages from the DfT – do they give a damn about the future of rail? THERE’S often a nagging feeling that information from Government lacks thought and co-ordinaton. Take Transport Secretary Chris Grayling’s suggestion that private motorists should now hesitate before buying a diesel car and buy the “least polluting vehicle they can”. Yet at around the same time came an announcement that the Mode Shift Revenue Support, a subsidy that assists the movement of freight traffic from road to rail would be cut by 21%, making rail a far less competitive option. This is a move that will save the Government a mere £4million this year, which is almost pocket money considering the £50bn being spent on HS2. More worringly, it begins to shift the balance back in favour of road and has led to estimates of 190,000 extra truck movements every year. Cutting the support makes even less sense when, just six months ago, the Freight Transport Association claimed 35,000 additional lorry drivers were needed. Plus, the extra truck movements will worsen the air quality in many built-up areas, so isn’t that at odds with Grayling’s suggestion to private motorists to ditch the diesel car? We have a fast, efficient rail freight system that is being ripped apart by nonsensical Government decisions. With virtually all the country’s coal traffic being lost because of a carbon tax that made burning coal uncompetitive, is rail about to suffer another massive blow because of a penny-pinching Government that only half-heartedly supports rail freight? It’s even more of a slap in the face for rail when the DfT (or should that be DafT?) spins out weasel words saying “it is committed to supporting the long-term growth of the rail industry”. Really? Seems to me they don’t give a toss. 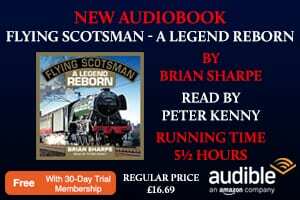 THE RM has, by and large, been an apolitical publication, yet despite the many calls over the past 20 years for the railways to be re-nationalised, we have stood firm and remained neutral. 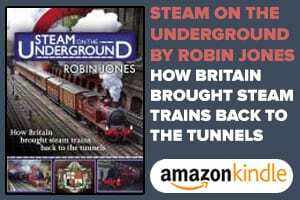 Many believe that a fully nationalised railway would bring cheaper fares and other benefits. Depending on your viewpoint, that may or may not be so, but had it continued under BR, would you have seen the phenomenal passenger growth experienced in the past five years? Would you have, what is in effect, a walk-on service to Birmingham and Manchester? Would you have seen levels of rolling stock orders that simply never happened under BR? It is widely accepted the way Privatisation was introduced was badly flawed in both its concept and execution, and every week a union, a newspaper a passenger group or political party is calling for the railways to be renationalised – but would it work? While remaining on the political fence, so to speak, on page 24 consultant editor Nick Pigott presents the case for and against re-nationalising the railway. We’d be pleased to hear your views on whether our railways are a success story under privatisation or how differently it should have been approached – if at all. 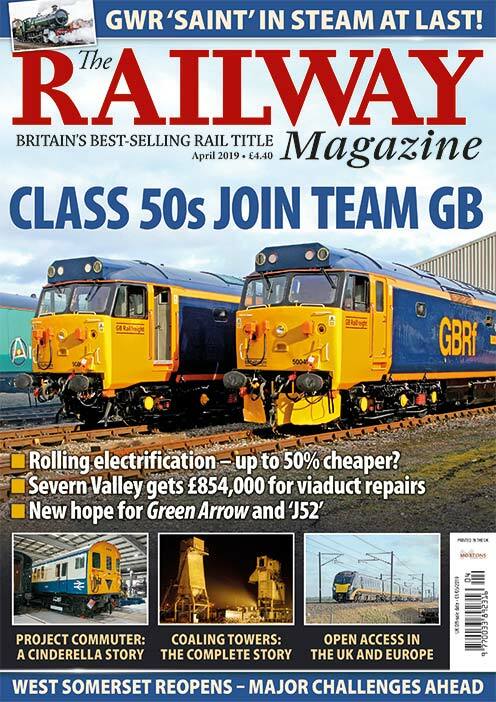 WHEN a delegation from The RM sat around a table in Birmingham with representatives from Riviera Trains, Pathfinder and the Class 50 Alliance last November to discuss plans for our 120th anniversary railtour, we were quietly optimistic it would appeal to readers. However, little did we realise that all the tickets would have been sold in just 60 hours! It’s an astonishing achievement, and to every reader or friend of a reader who has bought a ticket, we say thank you. The fact that many were disappointed has prompted thoughts of a second trip, possibly to a different destination, so keep an eye on The RM for any further details.